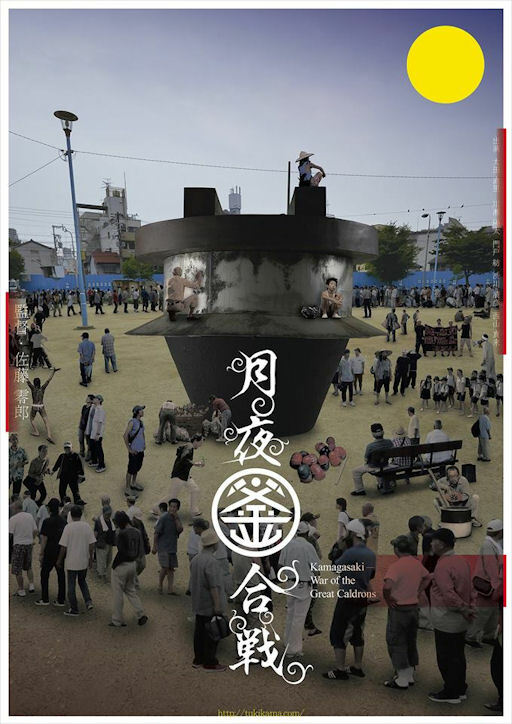 Review: The Kamagasaki Cauldron War / It's Just Movies Review: "The Kamagasaki Cauldron War"
A tour guide tells his group that the big flower planters have been strategically placed in Kamagasaki to make it impossible for indigents to sleep on the sidewalks. Then an indigent, who is also a crack pick-pocket, passes by and steals his money. The pickpocket needs this money to afford a place to sleep. This is an income inequality play delivered in an indomitable comedic form. The irony is that the very policies of the business world that don’t want to have the poor inconveniently littering the streets create the poverty of the day laborers and unemployed who have nowhere else to go. Portland’s 12th annual Japanese Currents series features “The Kamagasaki Cauldron War,” which is ostensibly about the theft of a ceremonial cooking pot from the head family of the Kamagasaki gang. Set in Kamagasaki, a ghetto for the lower class in Osaka, the police and the gang collaborate on a plan to rid the area of the very people that provide the raison d’etre for their positions. Of specific note is a beautiful, strong-willed, bored prostitute (Naori Ota). She is desired by both the indigent pickpocket and the son of the gang’s boss. She is unknowingly harboring the young son of the man who stole the gang’s ceremonial pot and eventually ends up accused of murder. The specific details of the film appear simple and innocent, but as the story moves on into a labyrinth of characters and incidents there is a full-scale riot between the lower class and the colluding gangsters and police. The corruption of the authorities eventually becomes known and understood by the squatters. The pickpocket reads Marx out loud at a community meeting to encourage a revolt. A Japanese man, wearing the keffiyeh of the Palestinian Fedayeen, tells the secret of the underground and the squatters in France send a letter of support. The rebels unite and a priest lends quizzical spiritual guidance. 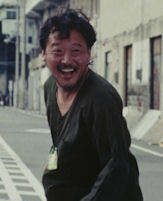 Leo Sato, the 37-year-old director, editor, and writer, is already a filmmaker of note on income inequality in Japan. “The Kamagasaki Cauldron War” took him five years to complete. He used many of the inhabitants of the area to depict their struggles against oppression. Portland’s 12th annual Japanese Currents explores contemporary issues in Japanese culture which are creatively expressed in anime, documentary, and comedic genres. “The Kamagasaki Cauldron War,” a social justice film of universal application, plays on April 13 at the Northwest Film Center.